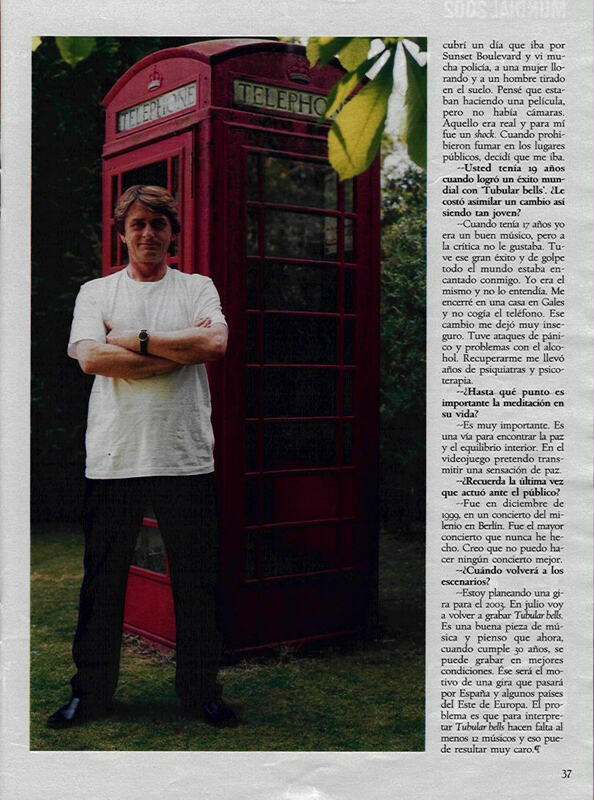 The Spanish newspaper 'El Periódico De Cataluña' contains a 4-pages article w/photos about Mike Oldfield entitled "I was a teenager at 45 years old". Scans of page 1, page 2, page 3, page 4. Mike may tour Spain and Eastern Europe next year to play Tubular Bells, with at least 12 musicians. Where´s the link to the article? The man will go on tour next year!!! But the concerts will be mainly based in Tubular Bells, following its 30 anniversary. WHAT??? Tour in Spain and Eastern Europe?! 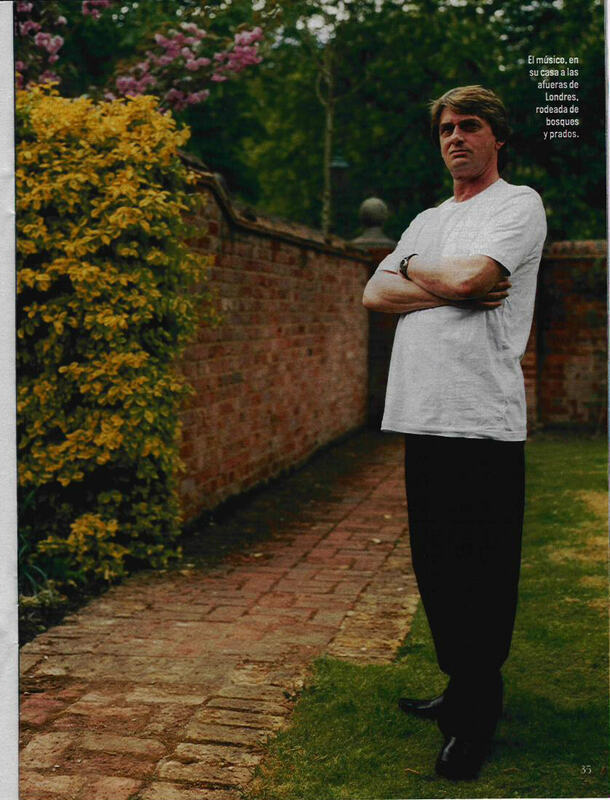 Isn't he releasing a reworking of Tubular Bells in 2003 too? he'll probably play the "newer" version in concert too. that would be cool to see, but of course i'm in the USA and in college so i'm even more poor and can't fly over there.! d'oh! what about an american tour? 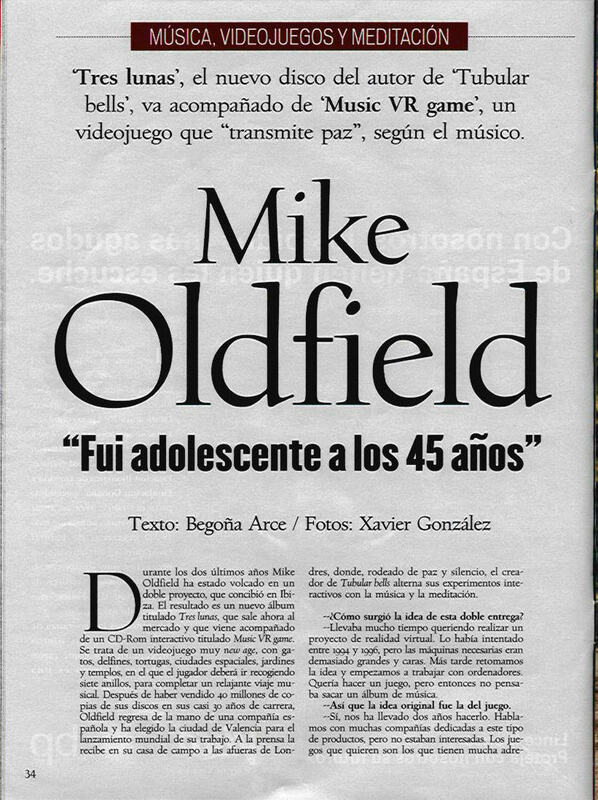 are the Spanish press like the British, ALWAYS talking about Tubular Bells and nothing else, or do they acknowledge that Mike has made other music?